Considered to be the "Heart" of landscaping, a hardscape is what gives your property the appeal and value you are looking for. Hardscapes generally consist of Walls, Walkways, and Patios to help define space, provide safety, and privacy while maintaining character. Hardscapes may also include other hand crafted structures such as, streams and ponds, barbecue centers and fire pits, gazebos, decks and much more. 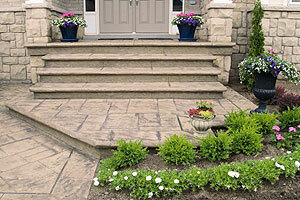 We are proud to provide a crew of knowledgeable, industry trained specialists and guarantee your Hardscape Installation.